It’s the rare cat who faces stressful events with barely a twitch of the whiskers. Even the most confident, laid-back felines inevitably have moments where they shoot under the bed and refuse to come out. This skittish behavior can have roots in a lack of early socialization or bad experiences. But it’s also been handed down to today’s kitties from their wild ancestors. As a species, cats are not only predators, but prey. So thousands of years of evolution have taught them to keep their guard up, just in case. Of course, your kitty probably has to worry more about the vacuum cleaner than a wild animal. But that doesn’t mean that the stress, anxiety and fear she feels is any less real. In fact, it’s a neuro-chemical reaction that takes place in the brain, bringing about the well-known fight or flight response. 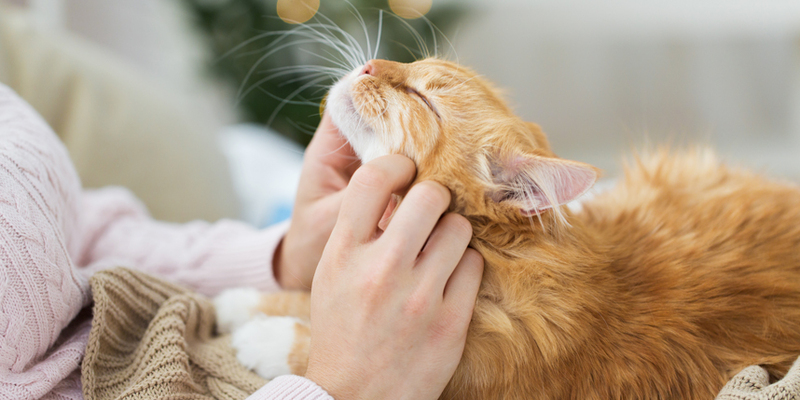 Since stress can affect your cat’s mental and physical wellbeing, it’s important to take steps to alleviate her anxiety. A number of things can cause your cat stress, but change is at the heart of most of them. 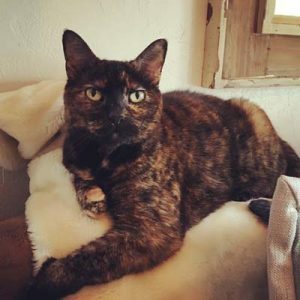 Houseguests, separation from you, moving to a new home, visits to the vet, a new dog, cat or kid in the family – these can all send kitty’s anxiety level sky-high. Planning a party? Having work done to your home? Expecting houseguests? 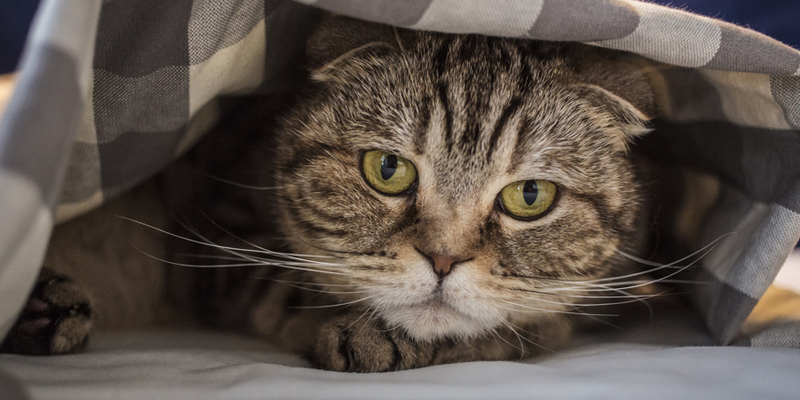 Give your cat a safe, quiet, calm place to hide away, preferably in a favorite area of your home. 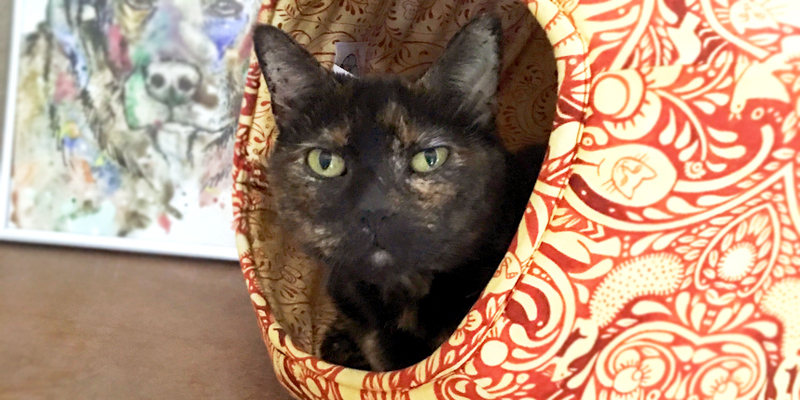 Ask others not to disturb kitty in her sanctuary. 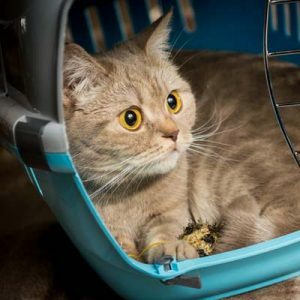 If your cat hates to be shut up in one room, or it’s just not feasible in your situation, make sure she has an out-of-the-fray way to navigate around your home. 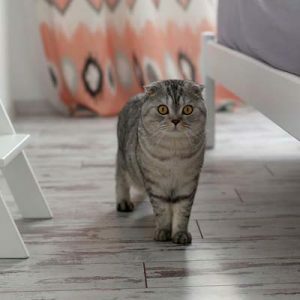 Never block the path from, say, your bedroom to the litter box … or you may end up with an unpleasant surprise. 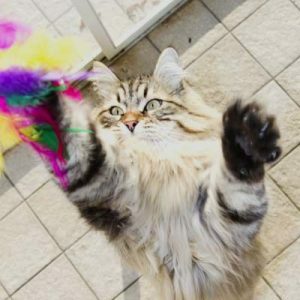 Pent-up energy can fuel anxiety, so playing with your cat is a great way to help her burn off stress. 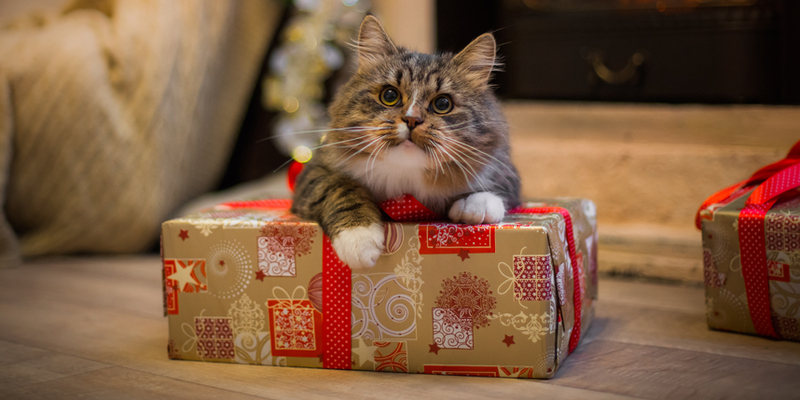 Pull an enticing toy along the floor or flip it into the air, move your hands under a sheet so she can attack the “bed rat,” or offer her an automated cat toy. Hopefully, she’ll be so pleasantly tired that she’ll snooze through the whole event. One mistake pet parents sometimes make is thinking that their cat just needs more exposure to “get over” their fears. This approach almost never works and can erode your kitty’s trust in you. If she prefers to stay hidden, respect her wishes. But if she happens to venture out, reward her bravery with lots of treats and praise. Regular vet visits are important to keep your cat healthy and happy. But most of us – both feline and human – dread these annual trips. Reduce stress by making the carrier a safe, familiar place. Leave it out in a favorite room and make it comfy with soft bedding and catnip spray. 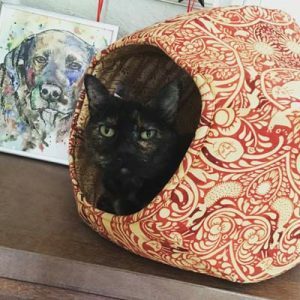 You may also want to look for a Fear-Free Certified Veterinarian, who has been trained in techniques that reduce or remove anxiety triggers for their animal clients.